Donate & be a Member to get outstanding benefits! Can I bring food or drinks? Food is not permitted. Only beverages in SOPAC Theatre Cups are allowed inside the theatre. SOPAC Theatre Cups are available for sale at the lobby bar which is open during most mainstage events. No, SOPAC is not a dinner-theatre however, there are many restaurants nearby! Tickets for performances typically range in price from $20-$95. Kids ‘N Family ticket prices typically range in price from $18-$25. Those who rent SOPAC for their own productions set their own ticket prices. What are your ticket fees? A $2 Facility Fee is applied to each ticket on all orders. A $1 Shipping Fee is applied to ticket orders with “Ship” selected as the delivery method. Processing Fees of $1-$9 per ticket apply to credit card sales. Fees and prices are subject to change without notice. Can I see the seating chart online? Does a child need a ticket even if s/he sits on my lap? Yes, every person entering the theatre, regardless of their age, must have a ticket and their own seat so that we may comply with fire codes. Do you offer Student Rush tickets? Yes! $10 Student Rush tickets for SOPAC-presented performances are made available for sale in person two hours prior to show time. Students are permitted 1 ticket per valid, full-time student ID. Subject to availability. JESPY House clients are eligible for Student Rush tickets. Full-time Seton Hall University students are eligible for Pirate Rush tickets at SOPAC-presented performances. Pirate Rush tickets are free and subject to the same conditions as Student Rush tickets described above. Seton Hall University students can also attend Seton Hall University Arts Council performances at SOPAC at no charge. Other students pay a reduced student price. Lost and found items are held in the Box Office. Unclaimed items are disposed of on a weekly basis. Call (973) 313-2787 in order to inquire about your lost item. Box Office hours are Monday-Saturday, 12-6PM. What happens in the event of inclement weather? If the artist is able to reach the venue, the performance shall go on. In the event of a cancellation or postponement, SOPAC will notify current ticket holders via the e-mail and/or phone and tickets can be exchanged or refunded. You waive your right to a courtesy notification regarding cancellation by refusing to provide contact information. When you purchase your tickets, SOPAC requests that you provide us with your e-mail and phone number so that we are able to communicate with you in the event of cancellation. If you have questions about whether a performance is taking place, we advise you to call the Box Office for confirmation before beginning your journey to SOPAC. Do you have shows for children? Can I take pictures in the theatre? The taking of photographs, video, or any other recordings is prohibited. SOPAC does not have an official dress code. Depending on the type of event, you may see patrons wearing anything from jeans and t-shirts to formal wear. As a general guide, we recommend that you come in business or dressy-casual attire. If I lost my ticket, can I still see the show? The original ticket buyer can secure replacement tickets in person at the Box Office with valid ID. Replacement tickets cannot be issued to anyone other than the original ticket buyer, and only if a full name and contact information was provided at the time of purchase. Can I exchange my ticket or get a refund? According to SOPAC Ticket Policies, all sales are final and tickets are non-refundable. If you are no longer able to attend a performance for which you purchased tickets, you may donate the face value of your tickets to SOPAC. Patrons who make ticket donations will receive a letter from SOPAC acknowledging their donation for tax purposes. If the tickets are valued at more than $50, you will also receive Member Benefits. Donation requests must be made at least 24 hours prior to a performance. Does SOPAC share mailing list information? 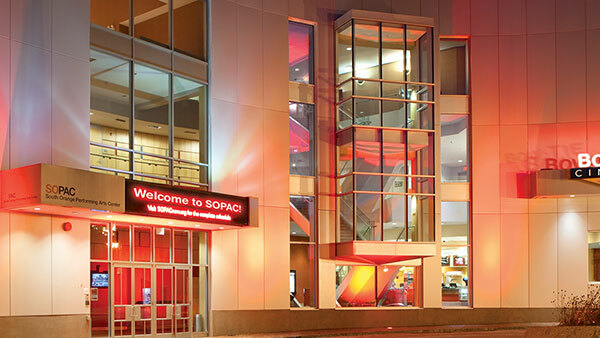 Presenters who rent SOPAC have access to contact information of patrons who purchased tickets to their show. In addition, SOPAC participates in mailing list exchanges with other New Jersey-based performing arts organizations. Parking can be a challenge in the heart of any lively community. Please be sure to allow time for parking when visiting. Most parking lots are free after 6PM on weekdays and many are free all day Saturday and Sunday. Where are restrooms and water fountains located? The primary restroom facilities and water fountains are located on the second floor across from the SOPAC Mezzanine seating. The second floor is accessible via elevator and the grand staircase. Where can I find out more about the art in the gallery? You’ll find information about The Herb & Milly Iris Gallery here. 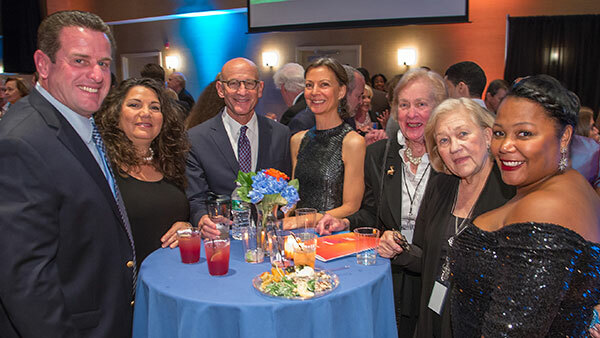 Member benefits make your attendance at SOPAC events even more fun! As a Member, you can enjoy advance ticket offers, discounts, invitations to special events and more. 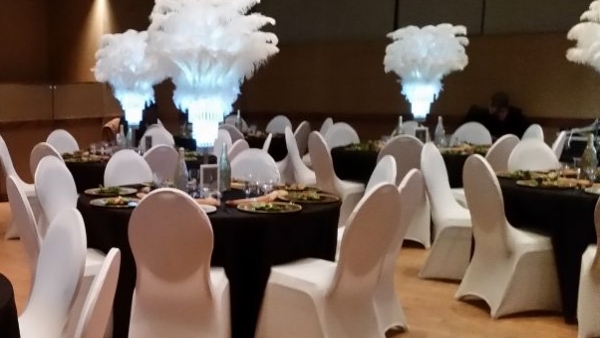 Host your next event or production at SOPAC. The theatre and Loft are perfectly suited for a wide variety of functions, including receptions, meetings, screenings, rehearsals and live performances. SOPAC is located in the center of a charming downtown with wonderful restaurants, retail, movies, accessible public transportation and more. Take advantage of all South Orange Village has to offer.